Bookmakers emboldened by bulging bank balances from Cheltenham are ready to take on punters plunging on the five short-priced favourites that start the three-day Aintree meeting on Thursday. Top Notch, Defi Du Seuil, Cue Card, Buveur D'Air and On The Fringe will form the basis for a barrage of multiple bets, with the five-timer paying out at 41.1-1 with Betway. But the bookies' brashness is built on knowing turnover at Aintree fails to get close to matching that of Cheltenham, so liabilities will not have them quaking in their boots like last Saturday when Ryan Moore had them on the ropes as he went into the Lincoln having ridden the first three winners on the card. Similarly the five hot favourites on opening day do not represent one particular trainer or jockey who punters can get behind to put in accumulators. Bet365's Pat Cooney, summing up his firm's pre-Aintree feelings, said: "We're not overly concerned as it's not always that straightforward going from Cheltenham to Aintree and you can usually get one beat. The form doesn't always follow on. But, yes we could have done with a fiendishly difficult handicap in the middle." Andrew Griffiths, of Betfred, said: "We’re always looking for a reason to take favourites on but frankly it’s difficult to see Buveur d’Air and Defi Du Seuil getting turned over. "However, this meeting can be a graveyard for favourites so there is hope for the layers, particularly with the remaining three hotpots. "Top Notch had a tough race at Cheltenham and is no good thing, while On The Fringe and Cue Card don’t look the horses of old and are opposable. "As long as we get at least two of the big guns turned over we’ll be in fair shape going into Friday and Saturday when there will be everything to play for." Top Notch (5-4) could start the roll-up in the Grade 1 Manifesto Novices' Chase followed by Triumph Hurdle winner Defi Du Seuil, who is long odds-on to follow up in the Grade 1 juvenile hurdle. Cue Card may be the longest-priced favourite of the five at 13-8 in the Betway Bowl and then Buveur D'Air could top up winnings at around 4-11 in the Aintree Hurdle. If those four oblige then On The Fringe, currently around 15-8, is likely to go off much shorter in the Randox Health Foxhunters'. Ladbrokes are setting their stall out to tempt favourite backers by pricing up Cue Card at 2-1, and they are also keen to get the two long odds-on shots Buveur D'Air and Defi Du Seuil. The firm's Nicola McGeady said: "If all the favourites win it will obviously be a really bad day but won't reach the heights of last Saturday due to the short prices. The only way last week's nightmare could be relived is if a jockey has a four-timer. 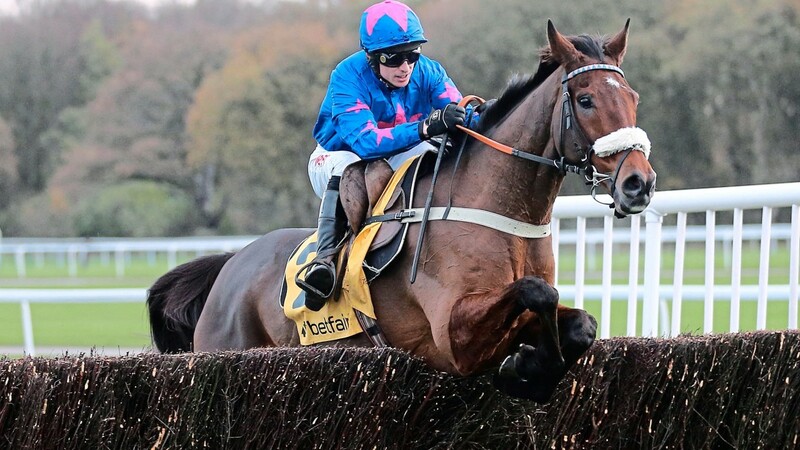 "The one horse who will do the most damage is Cue Card and we'll be top price about him. He's likely to be the best-backed horse of the day – punters absolutely love him. "However, as far as we're concerned there are just too many question marks over him after his fall at Cheltenham and we are happy to take him on." But, as Coral's David Stevens pointed out, what happens on Thursday will be forgotten when it comes to Saturday and the nationgets stuck into its favourite betting race, the Randox Health Grand National.